The Internet has become humanity's invisible central nervous system, connecting us at the speed of thought. More people today have access to mobile phones than have access to clean drinking water. Yet the most important technology is still the one within us: our brain, body and consciousness. A fast-paced career in the high-tech industry combined with a deep yoga and meditation practice has allowed Gopi Kallayil - Google's Chief Evangelist for Brand Marketing and one of the leading voices encouraging yoga and mindfulness in the workplace today - to integrate his inner and outer technologies to a remarkable degree. Wisdom from his yoga mat and meditation cushion guides his professional career, and his work life provides the perfect classroom to deepen his wisdom practice. The Internet to the Inner-Net guides the rest of us to do the same. 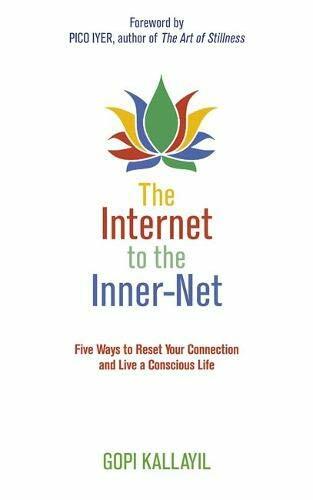 In some three dozen wide-ranging, sometimes provocative essays, Gopi shares colourful insight into the successful Google culture and his experiments in conscious living. He offers insight, inspiration and rituals - including yoga, mindful eating and even napping - to help us access our own inner worlds. In five sections, Gopi lays out practices and perspectives that you can use starting right now to live with more purpose, fulfilment and joy, including: - Log In: mindful ways of connecting and engaging - Clear Out Your Inbox: shedding what doesn't serve you to make space for what does - Optimize Your System: instructions for fine-tuning your priorities - Just Google It: strategies for trusting the universe - Thank You for Subscribing: a reminder to live with gratitude. If you're looking for grounded practical wisdom that might simultaneously help you become more creative, adaptable, enthusiastic, effective or resilient, you'll find it here.